NBC Sports NASCAR analyst and former NASCAR driver Kyle Petty will lead 200 motorcyclists along the seven-day / 2,500 mile route — stretching from Santa Cruz, California, to Branson, Missouri — to raise funds and awareness for Victory Junction, a camp created to enrich the lives of children with chronic or life-threatening illnesses. The bottom line, of course, is charity. As a 501(c)(3) organization, the Ride has raised more than $16 million for the Petty family’s Victory Junction Gang Camp and other children’s-related charities. The 84-acre camp near Greensboro, N.C., is for children suffering from terminal or chronic diseases that disqualify them from mainstream camp. The Petty family opened it in 2004 to honor the late Adam Petty, Lee’s great-grandson, Richard’s grandson and Kyle’s son. 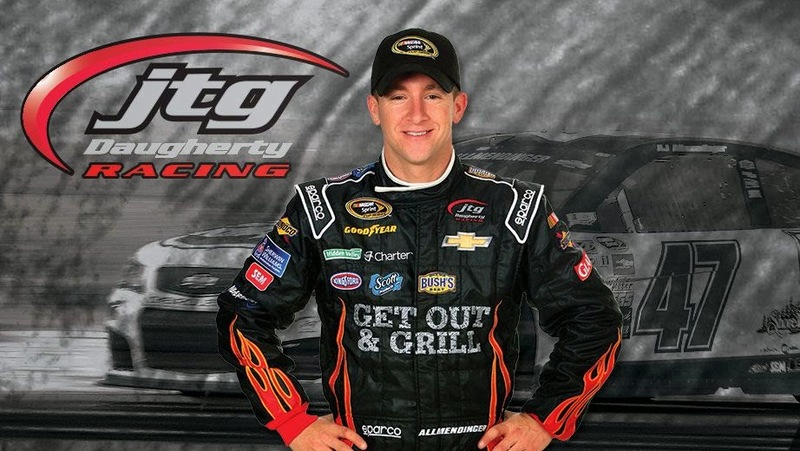 Just 19, Adam was killed during a single-car practice crash at Loudon, N.H., on May 12, 2000. 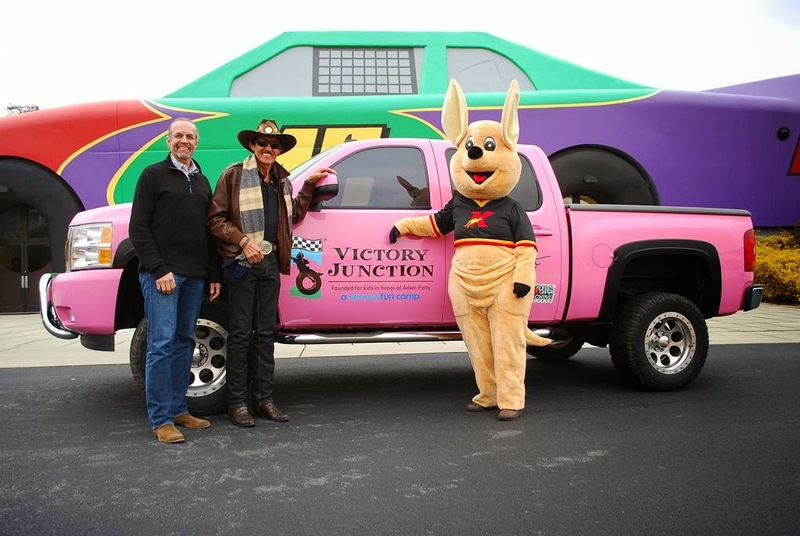 As a result of the Kyle Petty Charity Ride, 7,815 children have attended Victory Junction at no cost to their families. 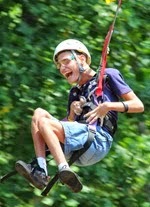 The camp has served as the ride’s primary beneficiary since its establishment by Kyle Petty in 2004 in honor of his late son Adam. 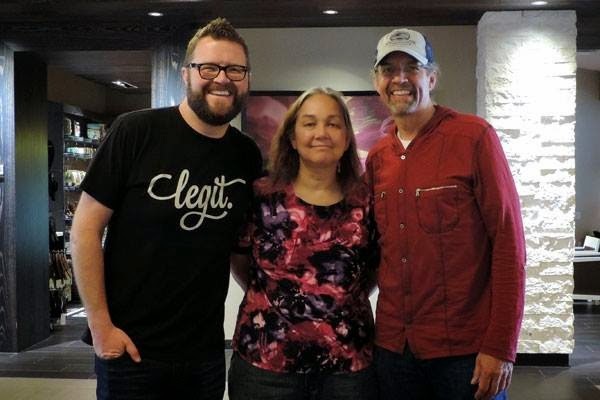 Last year, NASCAR Race Mom (NRM) was luckily enough to meet up with Kyle Petty and his best buddy Rutledge Wood before the 2014 Charity Ride in Carlsbad, California. This year’s plan is to join the group for a day in Bakersfield. 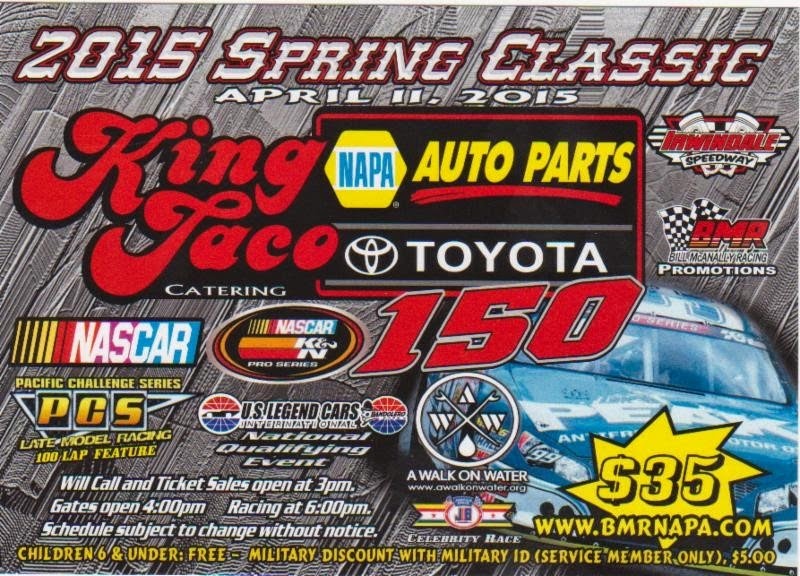 NRM participate in the event by purchasing ride memorabilia and of course to make a donation to Victory Junction. Victory Junction is a year-round camping environment for children, ages six to 16, with chronic medical conditions or serious illnesses. 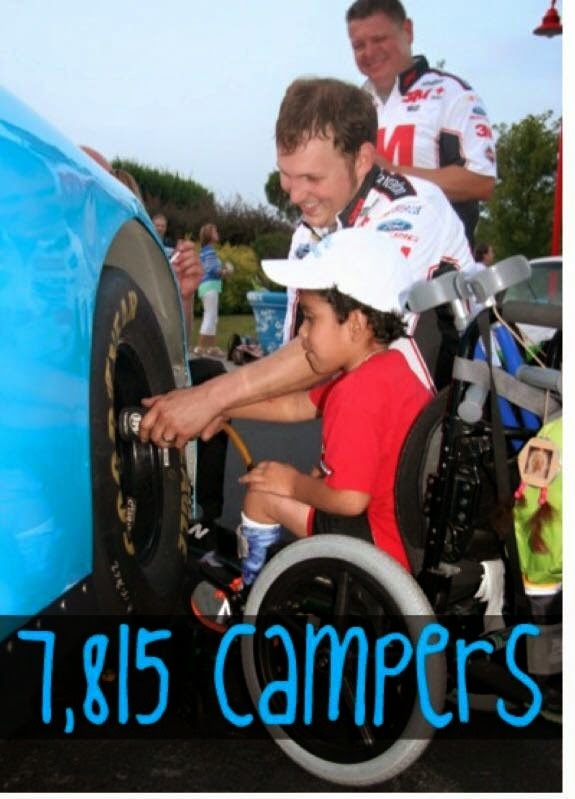 Co-founded by the Kyle Petty family, in honor of his son, Adam Petty, the camp is located in Randleman, North Carolina. Victory Junction exists to provide life-changing camping experiences that are exciting, fun and empowering, in a safe and medically-sound environment, always free of charge. For more information, please visit www.kylepettycharityride.com. 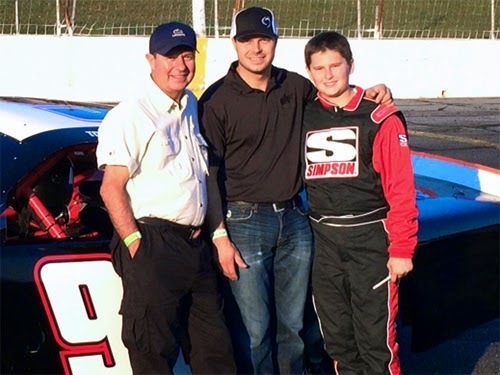 The Denny Hamlin Short Track Showdown began in 2008 at Southside Speedway, a local short track near Hamlin's hometown of Chesterfield, Virginia. The event moved to Richmond in 2011 and then moved to South Boston, VA in 2014. Proceeds from the eighth-annual Denny Hamlin Short Track Showdown, presented by FedEx, will go to support the Denny Hamlin Foundation, which has donated $150,000 in grants while helping to fund the Denny Hamlin Cystic Fibrosis Research Lab at Children's Hospital of Richmond at VCU and also supporting the Cystic Fibrosis Foundation-accredited Therapeutics Development Center at VCU. 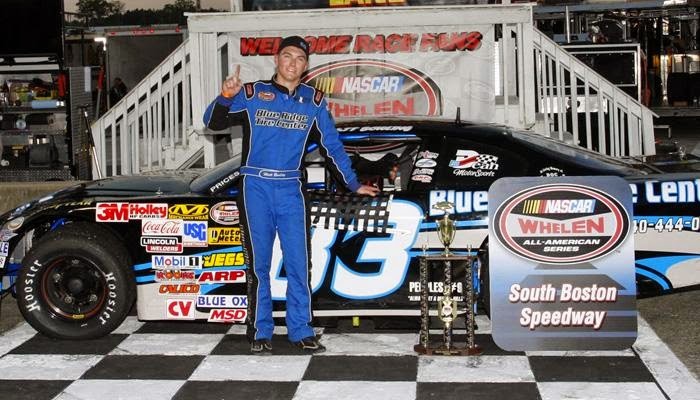 2014 Denny Hamlin Short Track Showdown was won by Matt Bowling, who beat NASCAR Cup Drivers Kyle Busch (4th), Matt Kenseth (5th), and Denny Hamlin (8th). Matt Waltz who finished second, led the first 195 laps. Bowling took and kept the lead on lap 196. The 200 lap event was marked by ten cautions for a total of 67 laps. Today’s race is expected to air as a one-hour special in May amid the network’s coverage of the NHL Stanley Cup Playoffs. For more information regarding the event, visit the southbostonspeedway.com and dennyhamlinfoundation.org. Click here to Enter to Win A Shirt And Hat From The 2015 Kyle Petty Charity Ride autographed by NASCAR Celebrity Kyle Petty! To commemorate one of the most innovative and holistic sustainability platforms in the country, NASCAR® announced its third annual NASCAR Race to Green™ initiative. Beginning today and culminating with Saturday’s TOYOTA OWNERS 400 at Richmond International Raceway, NASCAR Race to Green will build awareness around the programs the governing body, industry and multiple partners have created to help protect and preserve the environment. This year, NASCAR and the Environmental Protection Agency are inviting fans to measure their environmental impact at NASCAR.com/green and receive tips from Official Partners on how to reduce their carbon footprint. NASCAR drivers will reward select fans who complete the online tool with personalized messages on social media using the campaign’s hashtag #NASCARGreen. "NASCAR has the largest renewable energy, recycling and clean air programs in sports, but our sustainability platform is also about empowering fans to adopt new green-friendly behaviors," said Brent Dewar, NASCAR chief operating officer. "NASCAR Race to Green celebrates the collective efforts of our industry and partners while teaching fans how they can contribute to a cleaner environment." Since 2008, NASCAR Green has planted enough trees to completely offset carbon emissions for all NASCAR national series racing for the past five years, plus the next 40 years; put more than seven million competition miles on Sunoco Green E15, a biofuel blended with 15 percent American-made ethanol from American-grown corn; and features some of the largest renewable energy projects in the world, including Pocono Raceway’s 3MW Solar Farm, the track’s primary electric energy source powering more than 250 homes. 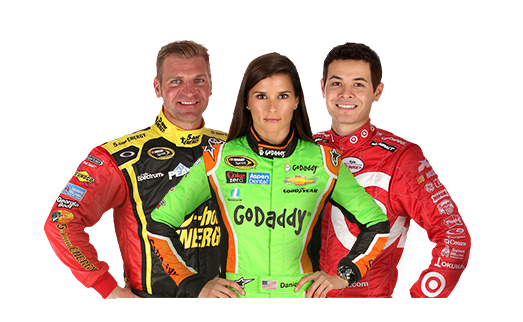 Recent research shows NASCAR Green initiatives align with fan values. 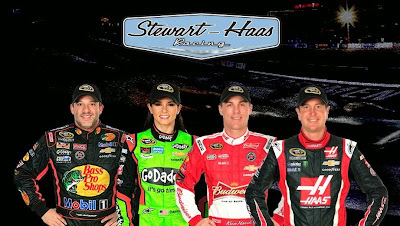 According to Experian Marketing Services’ 2014 Simmons National Consumer Study, two out of three NASCAR fans agree that each person has a personal obligation to be environmentally responsible, and four out of five fans indicate their household recycles. Additionally, a 2014 study commissioned by NASCAR and conducted by Toluna revealed that NASCAR fans are over 75 percent more likely than non-fans to support the use of ethanol blended with gasoline to fuel their own cars. 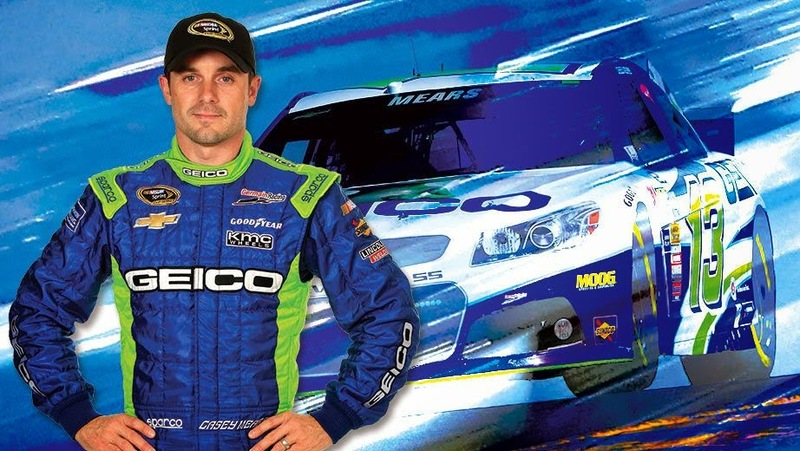 During NASCAR Race to Green week the color green will be prominently displayed on race vehicles and at tracks across NASCAR national series, NASCAR Home Tracks and International Series. The NASCAR Green mark will be featured on the A-post of race cars, pit boxes, hauler flags and NASCAR officials’ uniforms. 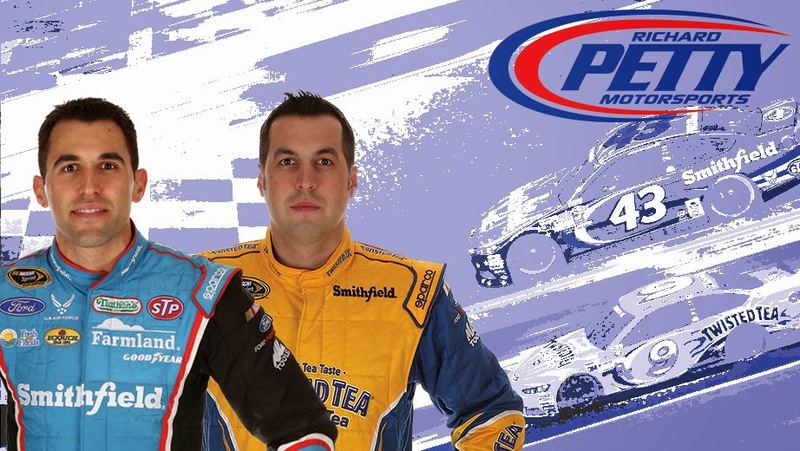 Drivers Austin Dillon and Elliott Sadler will run green-themed paint schemes during the weekend’s national series events. 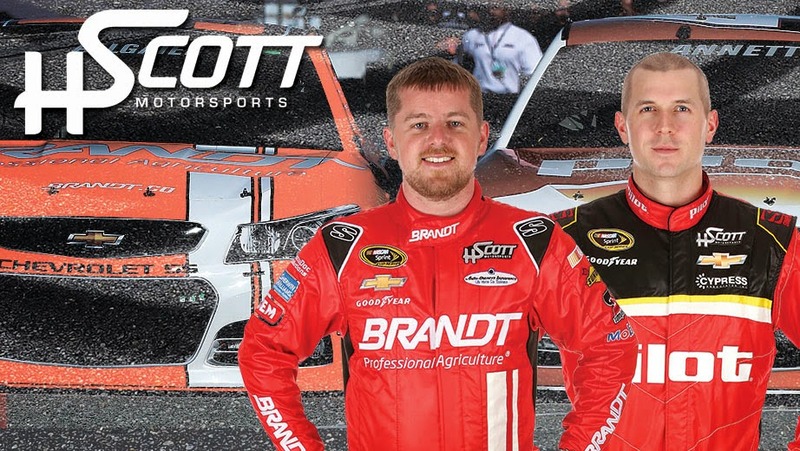 American Ethanol will celebrate five years as a NASCAR Official Partner and more than seven million miles of racing on Sunoco Green E15, the equivalent of almost 30 trips from the earth to the moon. 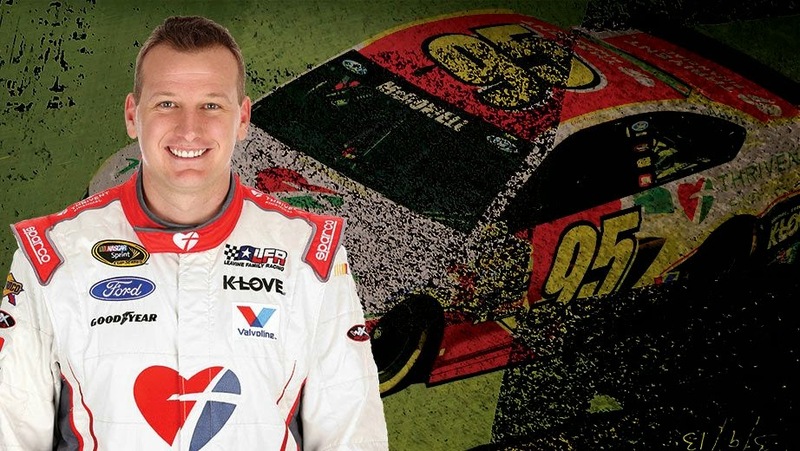 As part of national "Comcast Cares Day," NASCAR XFINITY Series drivers will join nearly 200 volunteers from Comcast for a cleanup project at the Boys & Girls Club of Metro Richmond. Mobil 1 will work with NASCAR to provide lubricant technology expertise to the broadcast compound power generators and vehicle. Chevrolet will come together with Pocono Raceway and NASCAR Green to build sustainable habitats for threatened bats by repurposing recycled Chevrolet Volt battery covers. At Pocono Kids day in June local children will be able to visit the Team Chevy display and build a habitat. Ford’s 20,000-square-foot display at Richmond International Raceway will "go green" and feature its line of hybrid and electric vehicles. At the track each weekend Toyota Tundras house the Air Titan 2.0, NASCAR’s innovative track-drying system. The Air Titan 2.0 consumes 78 percent less fuel per hour and emits 80 percent less CO2 per hour than its predecessor. Additionally, Toyota will feature a Toyota Prius Hybrid at its at-track display, Toyota PitPass. As part of a food waste diversion initiative, Richmond International Raceway, together with Sustainable America, will donate unused food to local food banks and compost used food items. NASCAR and Daytona International Speedway (DIS) employees will come together on Earth Day to plant trees at Lenox Park in Daytona Beach, Floriday, in continued support of NASCAR Green’s "Clean Air Tree Planting Program" which plants trees in reforestation projects across the country. A comprehensive recycling effort has accounted for approximately 120,000 Goodyear tires recycled across NASCAR’s top three national series each year; more than 200,000 gallons of oil at tracks and team shops recycled annually by Safety-Kleen; and more than 25 million bottles and cans cumulatively recycled over the past six years through collaborations with Coca-Cola and Coors Light. Gilliland finished Martinsville one lap down in twenty-fifth position. 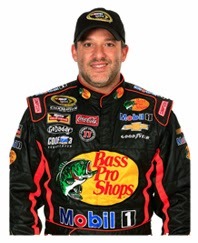 He is currently twenty-fifth in the #NASCAR Sprint Cup Series Point Standings. He currently drives the No. 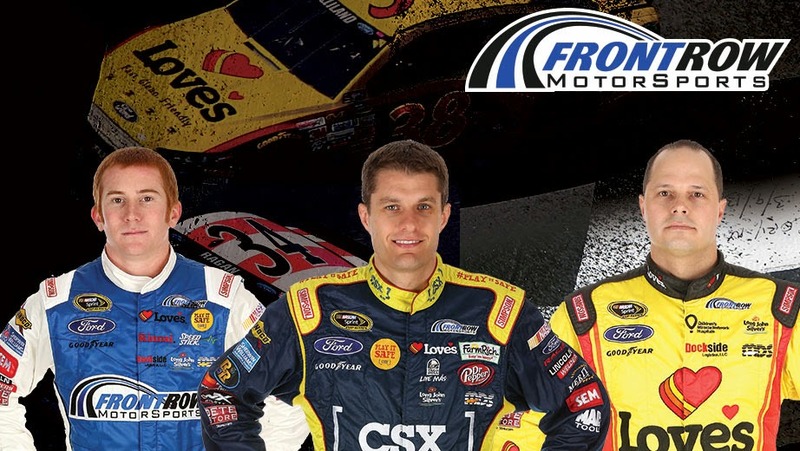 38 Ford Fusion for Front Row Motorsports in the NASCAR Sprint Cup Series. 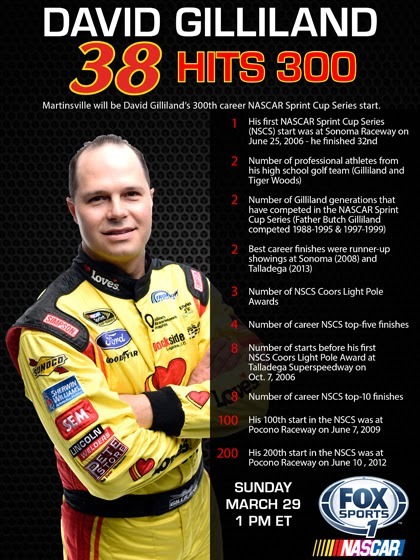 Born in Riverside, California, he is the son of former Cup and Winston West driver Butch Gilliland. 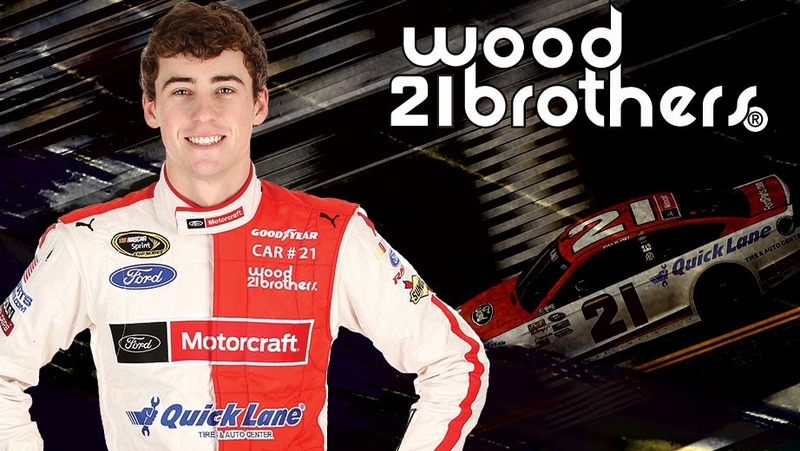 His teenaged son Todd is just starting his racing career. We received a package from Tony Stewart! It was delivered by a couple of Vincennes Police Officers, DJ Halter, and Ben Hammond. Thank you so much! Nathan loved it. Do you know of a great volunteer making an impact in the lives of children? 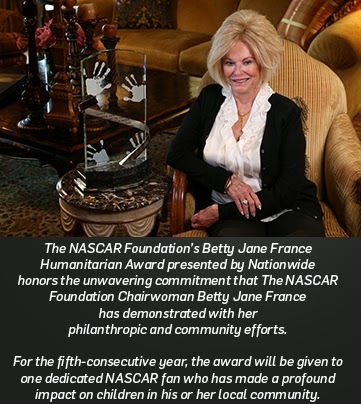 Everyone is encouraged to nominate an outstanding volunteer in your community for The NASCAR Foundation's Betty Jane France Humanitarian Award presented by Nationwide, the sport's highest community service honor. 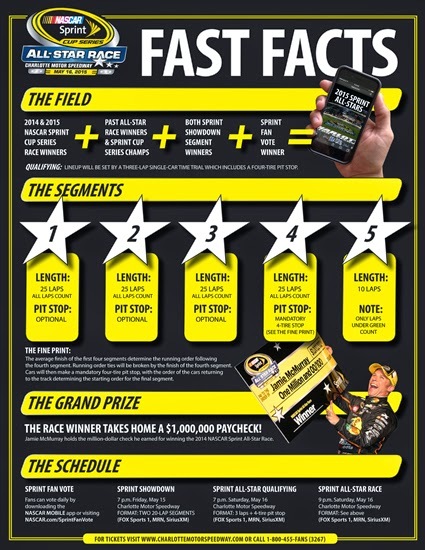 Learn more and nominate at NASCAR.com/award by May 8, 2015! So what is the award process? 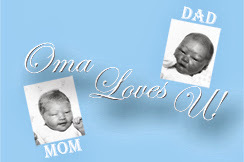 Why does YOUR support matter? 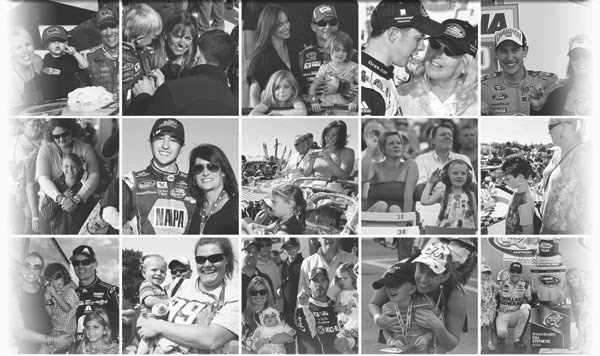 From the collective nominations made by NASCAR fans like you, four finalists will be selected and announced in the fall of 2015, and the winner - determined by online fan vote - will receive a $100,000 donation from The NASCAR Foundation to the children's charity they represent. And since the award's inception in 2011, The NASCAR Foundation has awarded $700,000 to charities in honor of 16 remarkable finalists. That is more than 52,000 children helped by the donations made to the charities they support! Plus, they have made it is easy for you to spread the word to your contacts. Just use the below sample tweet and post to encourage your social network contacts to submit their nominations! 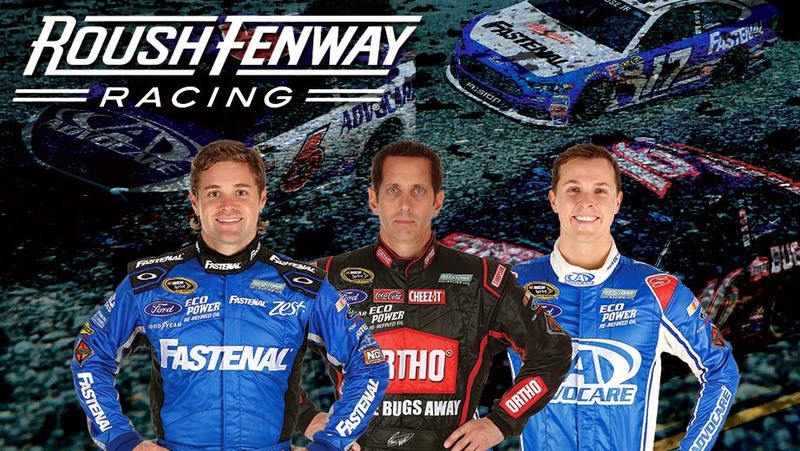 Jimmie Johnson, Jeff Gordon, Kasey Kahne and Dale Earnhardt Jr.
Aric Almirola and Sam Hornish Jr. 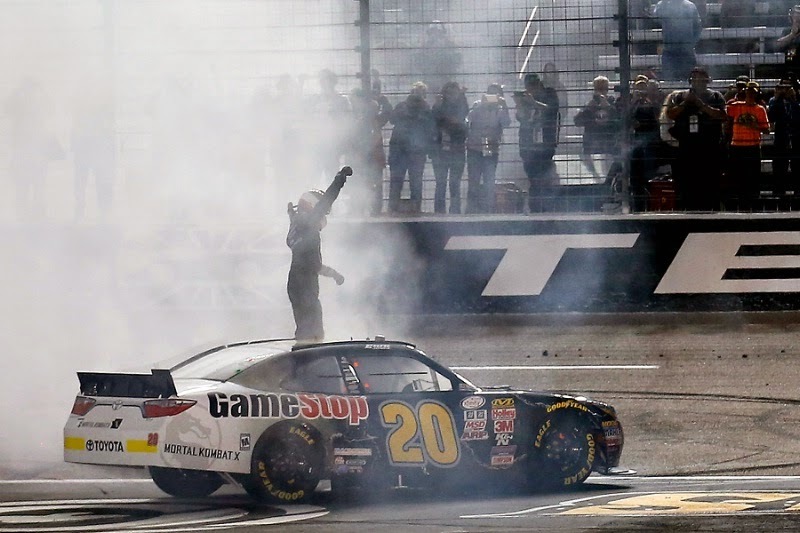 It was just his ninth outing in the NASCAR Xfinity Series; however newcomer Erik Jones earned his first trip to victory line in the series. 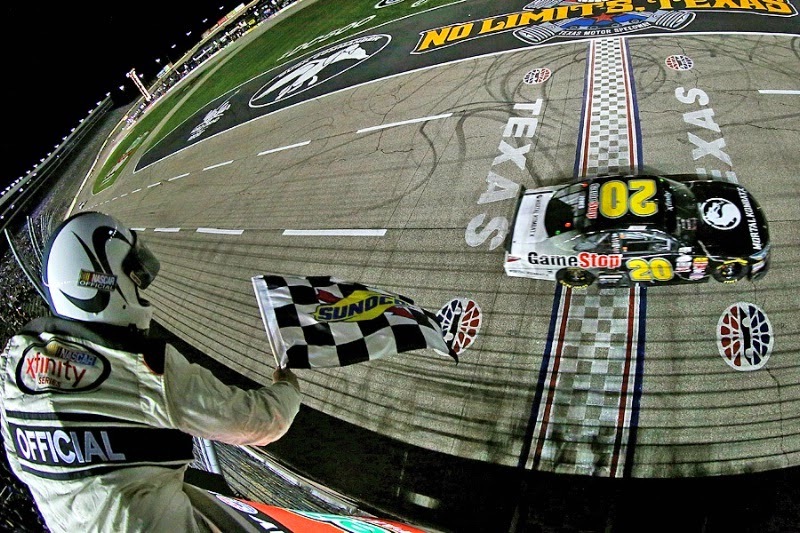 Jones also became the second-youngest series winner ever at Texas Motor Speedway at the age of 18 years, 10 months and 11 days. 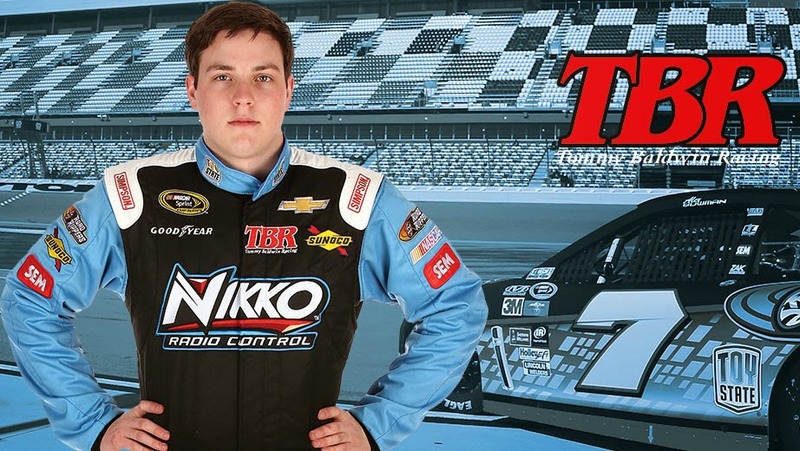 "This is surreal," said Jones, who has already been making waves in the last year as a breakthrough talent in the Camping World Truck Series driving for Kyle Busch Motorsports. "This is just amazing. We beat Cup guys tonight! Just a really cool day and something I'm really proud of not only for myself but everybody at Joe Gibbs Racing. "It's a great feeling knowing you had to work for it, that it was not just handed to you," he added. "That confidence is something I never doubted in myself." The Motorsports Cruise is a chance for fans to spend a week at sea with some of NASCAR's top drivers past and present. Wow – How much fun would this be! 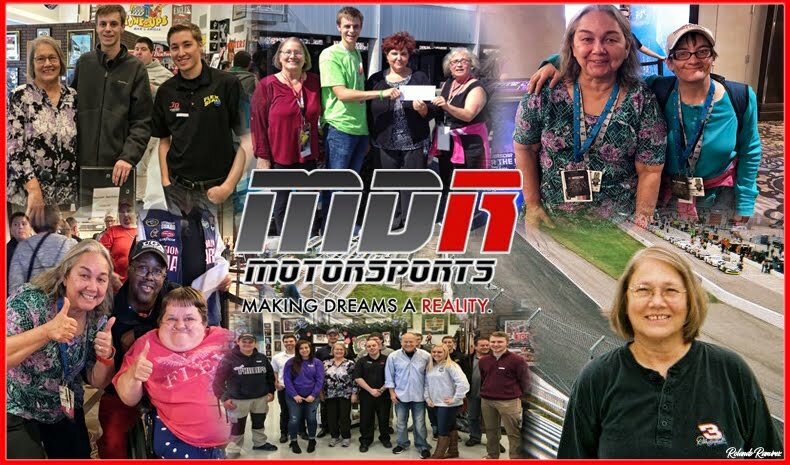 NASCAR Race Mom would love to participate in this off-season event! 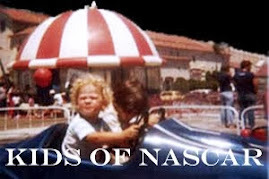 Take many of today's top NASCAR drivers, some of your favorite racing legends, add in a couple of crew chiefs and team owners and put that all on a big boat with A LOT of horsepower, and you've got a race fan's dream vacation! Motor Racing Outreach (MRO), together with PREMIER is offering this inaugural Motorsports Cruise from Dec. 7-11, 2015. Embarking from and returning to Miami, guests will travel to Nassau and Freeport, Bahamas aboard the Carnival Ecstasy. 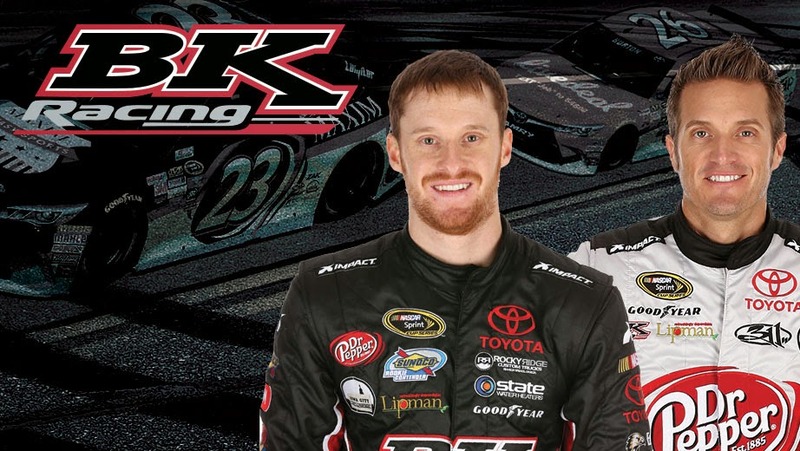 Showcasing the sport’s top talent, NASCAR announced changes for the 2015 NASCAR Sprint All-Star Race that will elevate the excitement of this annual classic. Race coverage is set for 7 p.m. 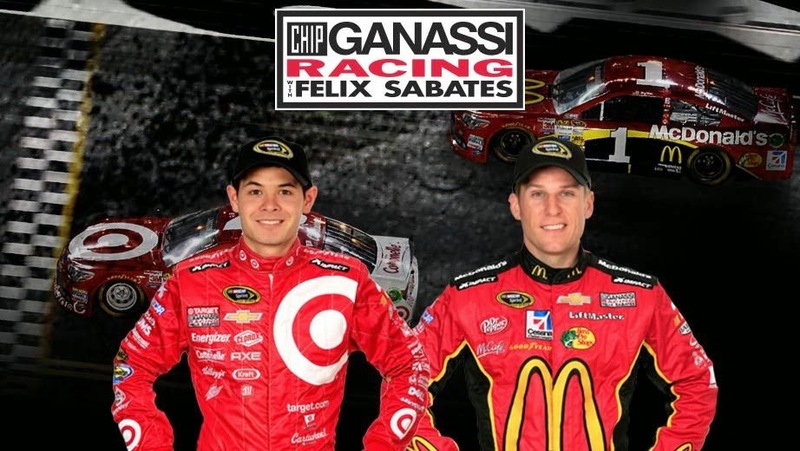 ET, Saturday, May 16 at Charlotte Motor Speedway (FOX Sports 1, MRN Radio and SiriusXM NASCAR Radio). 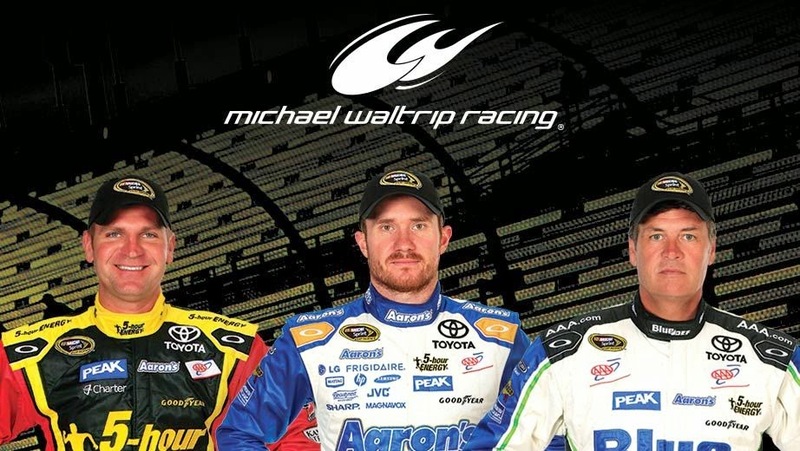 The field will include race winners from the 2014 and 2015 seasons, as well as all former NASCAR Sprint All-Star Race winners and NASCAR Sprint Cup Series champions who are full-time competitors – all of whom will compete for the $1 million prize awarded to the winner. 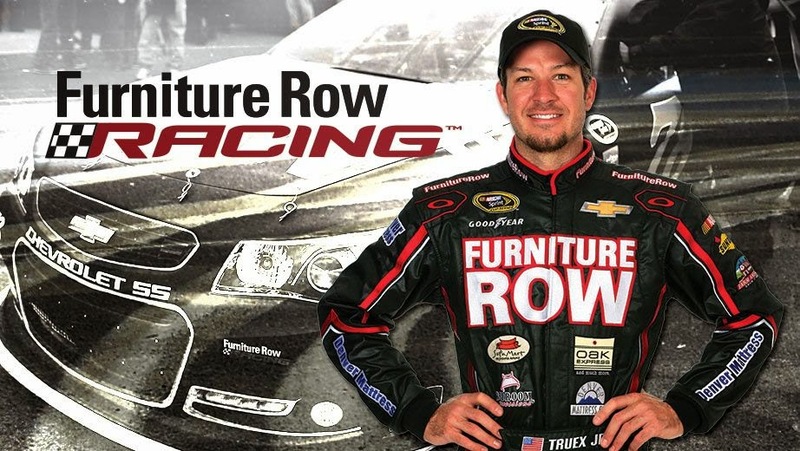 Prior to this change, former NASCAR Sprint All-Star Race winners and NASCAR Sprint Cup Series champions were eligible only if they accomplished the feat within the previous 10 seasons. In addition, the five-segment race will increase by a total of 20 laps, with the first four segments each scheduled for 25 laps as compared to 20 in recent years. With the final 10-lap shootout, the race now totals 110 laps. 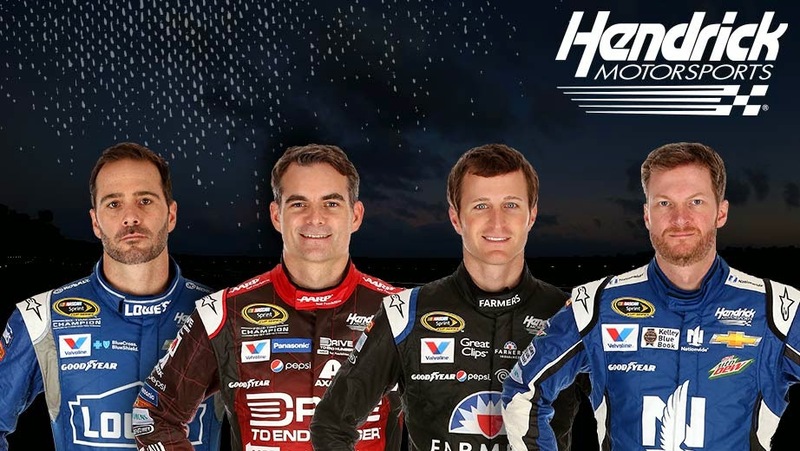 The 2015 NASCAR Sprint All-Star Race will have a minimum field of 20 drivers. There are currently 17 drivers eligible, with three additional spots available. Two of those are reserved for the segment winners from the two 20-lap Sprint Showdown segments beginning at 7 p.m. ET, Friday, May 15 at Charlotte Motor Speedway (FOX Sports 1, MRN, SiriusXM). The final spot belongs to the Sprint Fan Vote winner; voting at www.NASCAR.com/sprintfanvote and the NASCAR MOBILE application closes at 7 p.m. ET on May 15. The winner of the Sprint Fan Vote will be announced in Victory Lane following the conclusion of the Sprint Showdown. 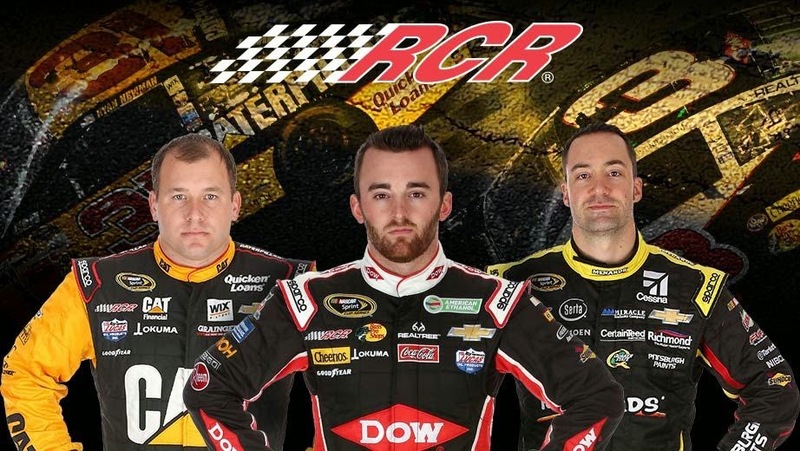 Drivers in the 2015 NASCAR Sprint All-Star Race will compete in cars that conform to all 2015 rules. The race format will consist of a total of five segments: four 25-lap segments, with the average finish of the first four segments determining the order cars will enter pit road for a mandatory four-tire pit stop following the fourth segment. Running order ties will be broken by the finish of the fourth segment. The order of the cars returning to the track following the mandatory pit stop determines the starting order for a final winner-take-all 10-lap segment. All laps will count in segments one through four. In the fifth and final segment, only green flag laps will be counted. There will be optional pit stops during the breaks following each of the first three segments, with the field set by the pit stop/stay out positioning during the five caution laps. 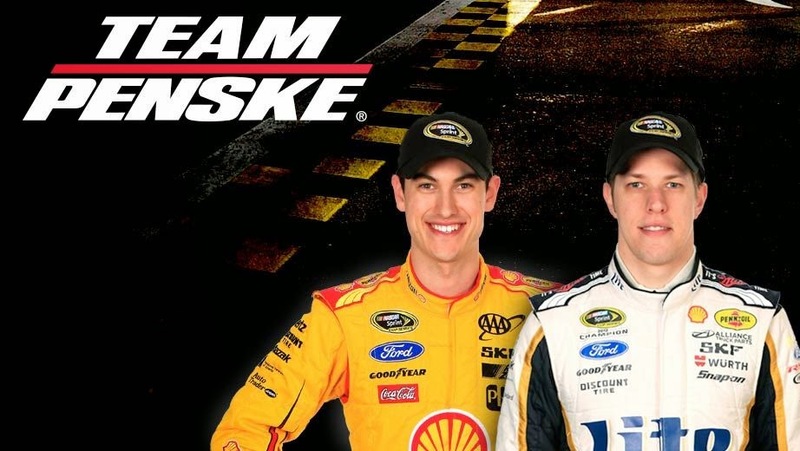 The following drivers are eligible to compete in the 2015 NASCAR Sprint All-Star Race: AJ Allmendinger, Aric Almirola, Kurt Busch, Kyle Busch, Dale Earnhardt Jr., Carl Edwards, Jeff Gordon, Denny Hamlin, Kevin Harvick, Jimmie Johnson, Kasey Kahne, Matt Kenseth (2004 NASCAR Sprint All-Star Race winner), Brad Keselowski, Joey Logano, Jamie McMurray (2014 winner), Ryan Newman (2002 winner), Tony Stewart (2009 winner). 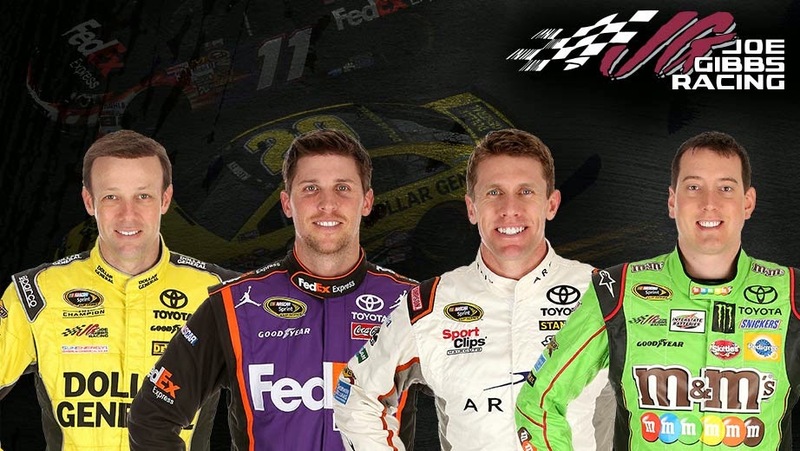 This will be the 31st running of the NASCAR Sprint All-Star Race. McMurray is the defending race winner. 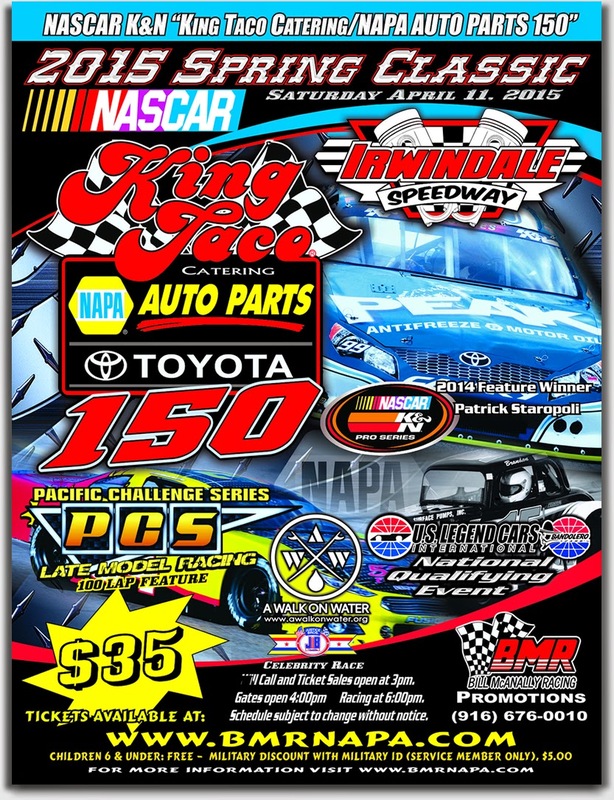 On Saturday, April 11th at 6:00pm PDT, NASCAR driver development programs High Point Racing & BMR Racing will host a 20-lap celebrity race--in actual stock cars--immediately preceding the King Taco Catering/Napa Auto Parts 150 (Irwindale Speedway, Irwindale,Calif. ), in partnership with nonprofit A Walk On Water. Celebrity partners will raffle and auction off signed items post-race, as well as spread the word on social media to spur ticket sales. A portion of proceeds from the event will benefit A Walk On Water (AWOW), which provides surf therapy to children with special needs and their siblings. The annual celebrity auto race at Irwindale Speedway has raised a significant amount of money for charitable causes over the years, helping area youths through selected nonprofits. 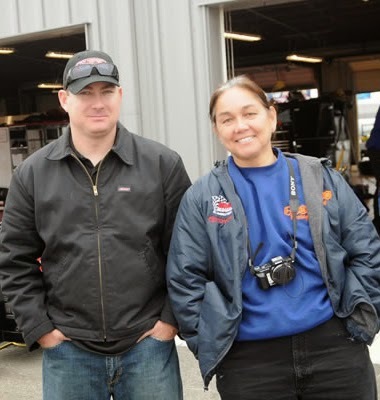 "We feel very fortunate to be able to give back to our local community through events like the celebrity race before the King Taco Catering/Napa Auto Parts 150", says Tim Huddleston, Director of High Point Racing, "A Walk On Water provides a valuable service to southern California families of special needs children, and we're honored to play a small part in financing their surf therapy events for the summer 2015 schedule." 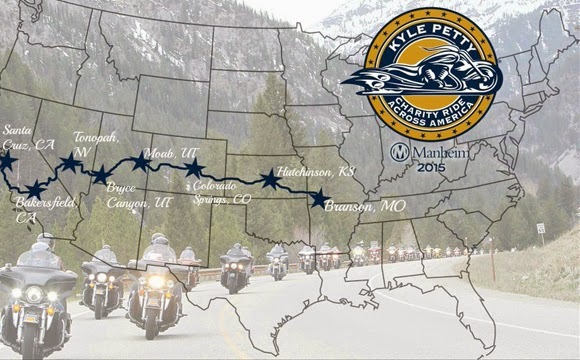 Twenty one years ago, NASCAR driver Kyle Petty combined his passion for helping others with his love of motorcycles to create the Kyle Petty Charity Ride Across America. One of the most successful and popular charity events in the country, the annual motorcycle trek engages celebrities, Ride sponsors, motorcycle enthusiasts, fans and local communities to raise funds and awareness for Victory Junction. Since 1995, more than 7,500 riders have logged 11.1 million cumulative motorcycle miles and raised $16 million for Victory Junction and other children’s charities. This year, Kyle Petty will lead approximately 200 riders on a route drafted by the Ride’s co-founder and 20-year participant, the late Don Tilley*. 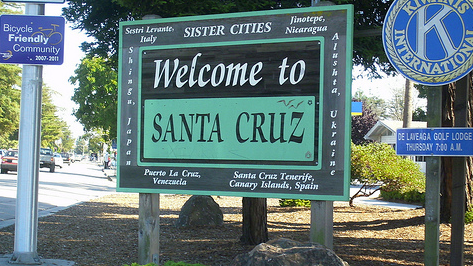 The Ride will travel from Santa Cruz, Calif. to Branson, Mo., May 2-8.
have attended Victory Junction at no cost! Since its inception by the Petty family in 2004 in honor of Kyle’s late son Adam, Victory Junction has served as the Ride’s primary beneficiary. Located on 84 acres in Randleman, N.C., Victory Junction exists to enrich the lives of children with chronic or life-threatening illnesses by creating camping experiences that are memorable, fun, empowering, physically safe and medically sound. The route was co-drafted by the late Don Tilley. 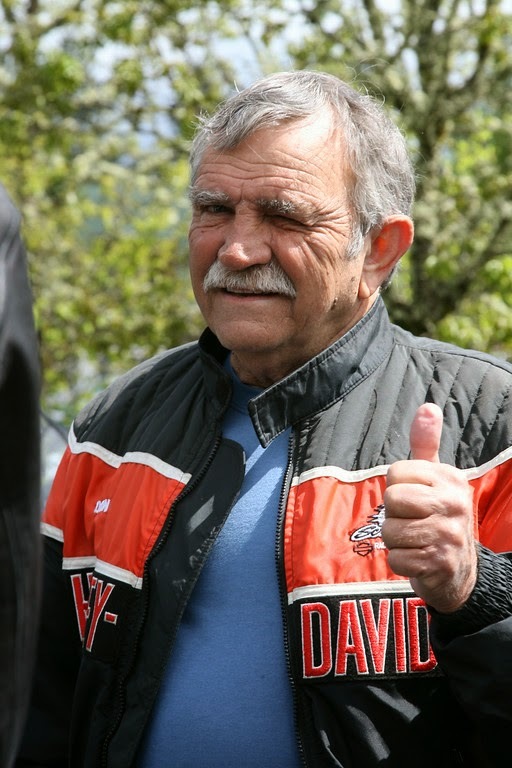 Tilley was a legend in racing and Harley-Davidson circles. He helped launch the charity ride in 1995 and led all twenty of Kyle Petty’s “Charity Ride Across America” treks. Tilley died as he lived for most of his 78 years; while riding his Harley. “Don taught me how to ride long distance, love Harleys & most importantly how to be a friend,” NASCAR driver Petty tweeted in August of 2014.